The 1.3 mile Knockhill circuit in Scotland was bathed in sunshine all weekend giving ideal track conditions for the riders. On top of that the track had been resurfaced leading to some very quick lap times. 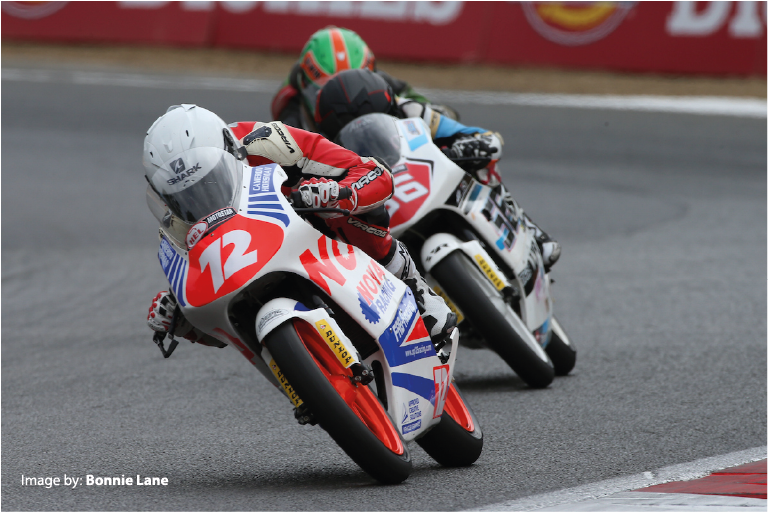 With two successful rounds of the British Talent Cup it has been two months since Cameron Horsman rode in the Hel Performance British Motostar standard class series. Round Three took place at Knockhill in Fife where the 1.3-mile track was immersed in fabulous sunshine all weekend. In the first free practice Horsman spent some time adjusting to the differences between the Moto3 machines he rides in the two different classes. It didn’t take long as he registered the fourth quickest time. In FP2 he was unable to improve on his lap time and slipped to ninth overall. Qualifying took place on Saturday morning. The Forest Hill youngster managed to reduce his time to 54.868 making good use of the new asphalt surface that had been laid at the venue. His time put him 8 th in the class on the grid. In the opening lap of the 18 lap race one Horsman lost a position but was on the back of a group of around and found himself at the back of a group of six riders. From the mid-way stage of the race he battled with Scott Ogden eventually overcoming the North Lincolnshire rider on lap 13 to take eighth place at the flag. The second 22 lap race of the weekend took place on the Sunday. Horsman made a better start moving up a couple of places but on a tightly packed track in the opening laps he slipped back to his starting position. He then began to make inroads and was battling with Ross Turner, Charlie Atkins and Scott Swann. The four pushed each other hard as they covered the near 28 miles of undulating track and the famous sharp Taylor final hairpin over the 22 laps. 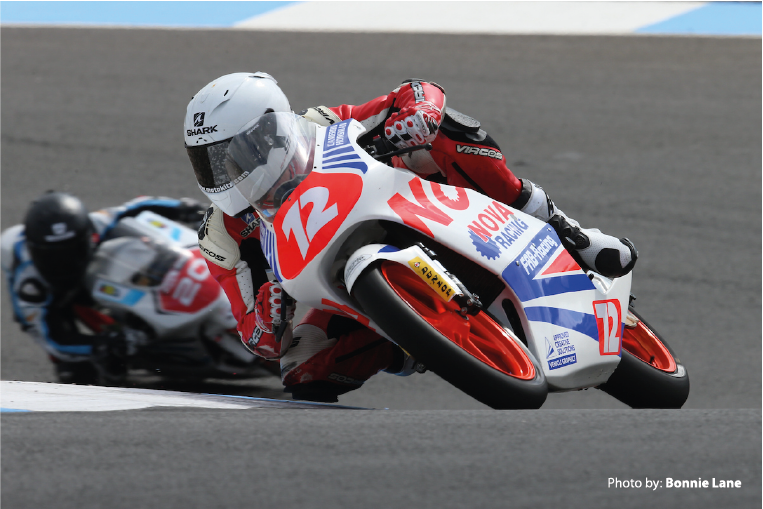 Horsman managed to make a late move on Atkins at the end of the final lap to cross the line in seventh place. He also managed to set his fastest lap of the weekend a 54.601. Horsman left the Scottish round with another 16 points. The fourth round of the championship will be at Brands Hatch on the GP circuit on the weekend of 20-22 July.